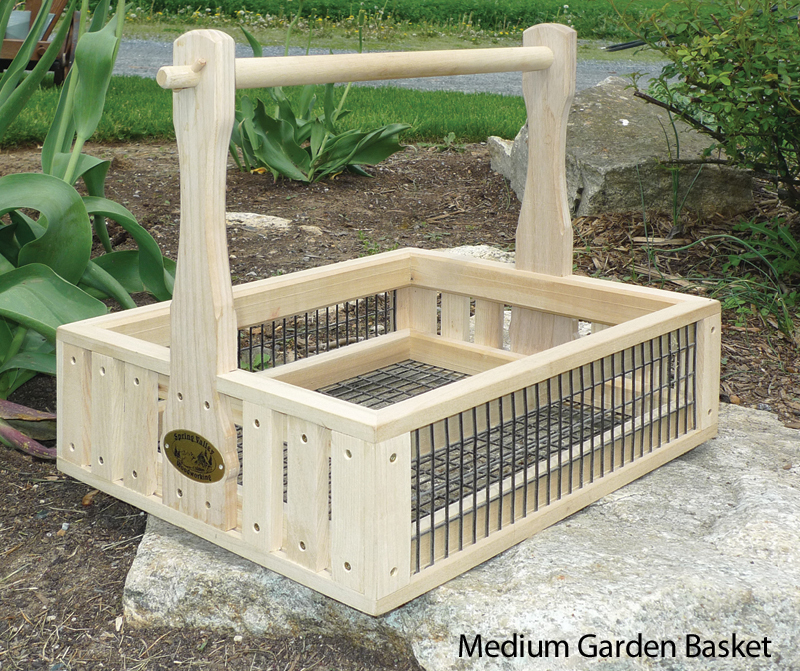 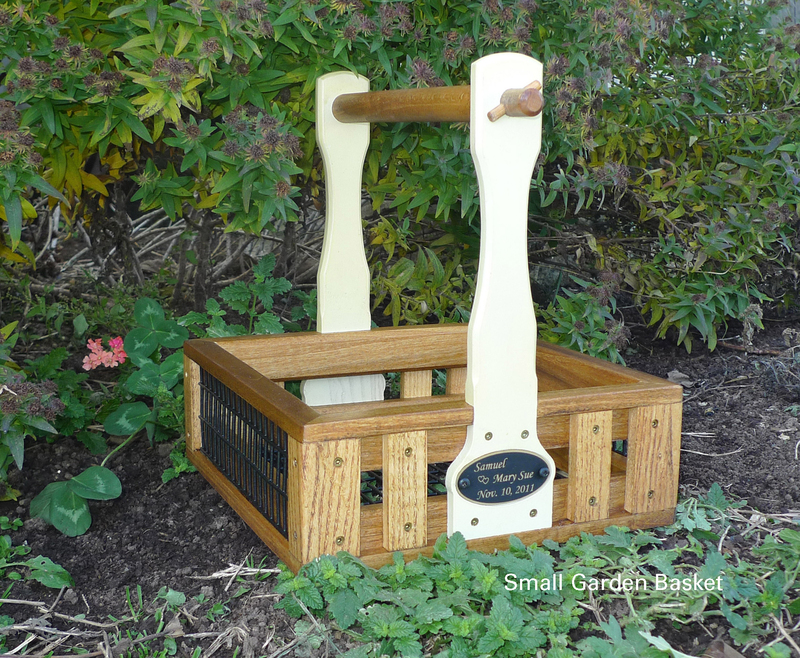 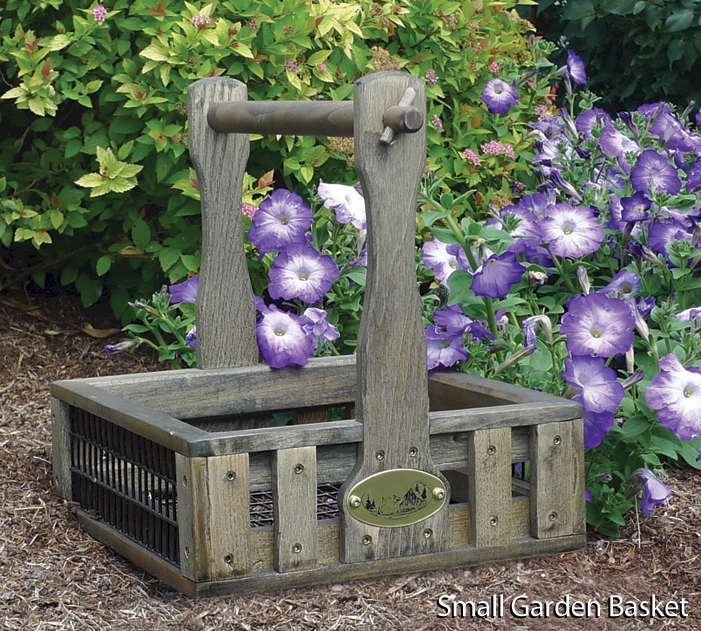 Our handcrafted Garden Baskets are great for gathering your garden vegetables and flowers and other gardening activities. 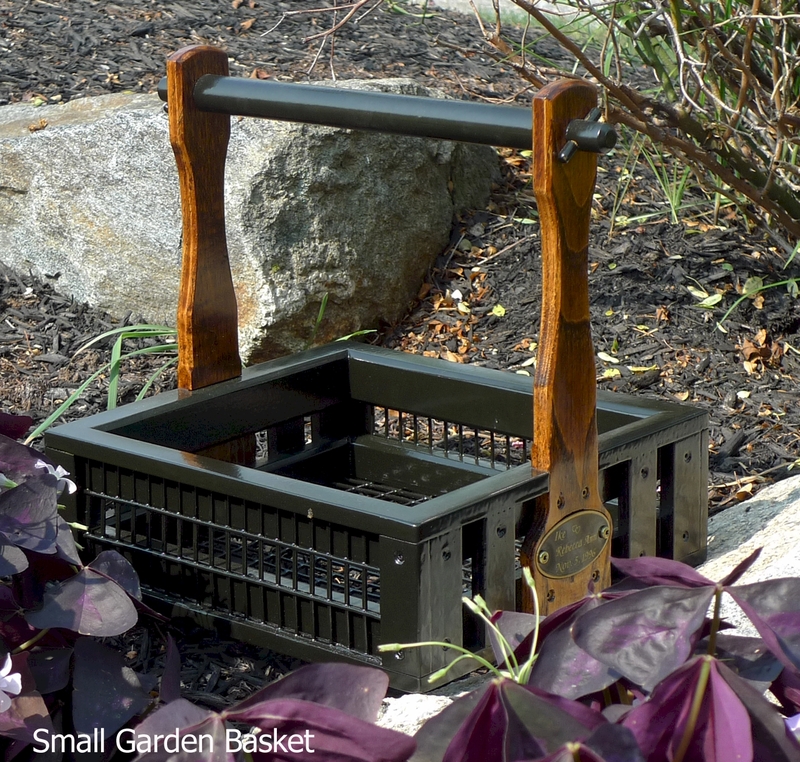 Food grade powder coated wire helps keep loose dirt and debris out of the basket. 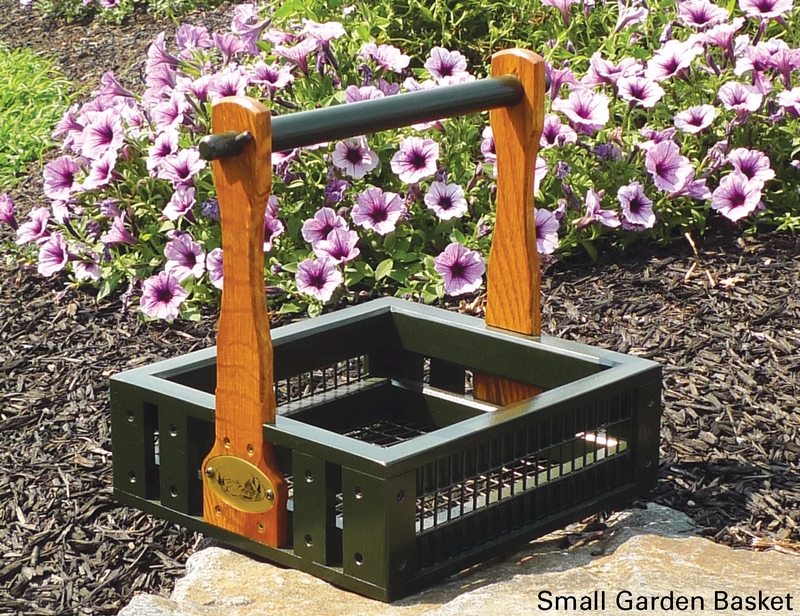 Other uses may include as a center piece, knitting basket, magazine holder, picnic basket, kindling holder by the fireplace or for whatever your imagination decides. 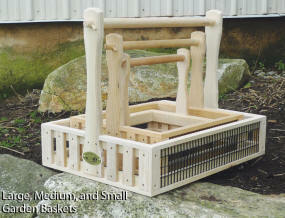 Constructed using hardwood stock. 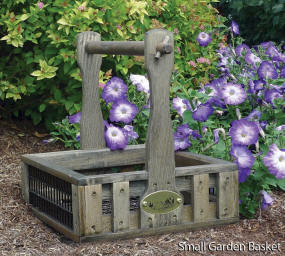 Please allow two > three weeks for your item to ship. 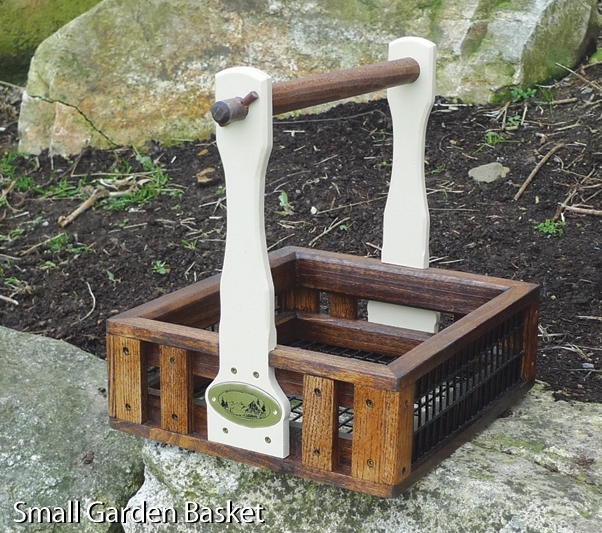 Each garden basket is custom made by hand; a process that begins at the time of your order. Note: Specify your choice of stain or paint color in the comment box which appears during the checkout process. You may also choose natural which is no stain or paint color. Note: Color combinations are possible. Example: Hunter Green basket with a Candy Apple Red handle.